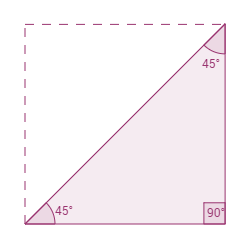 A 45-45-90 triangle can be formed by cutting a square in half. This is one of two special types of right triangles (the other is a 30-60-90 triangle, which is half of an equilateral triangle). ​What do you know about a square? All 4 sides are the same length. 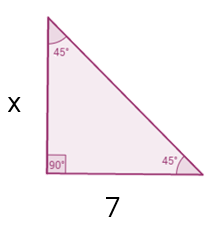 Since a 45-45-90 triangle is half of a square, this means that the two sides that form the 90 degree angle are the same length. For this reason, a 45-45-90 triangle is often referred to as an isosceles right triangle. If you know one of the legs of a 45-45-90 triangle, the other leg will be the same. We know that one leg of this 45-45-90 triangle is 7 units long. The two legs that form the right angle in a 45-45-90 triangle are always the same length. 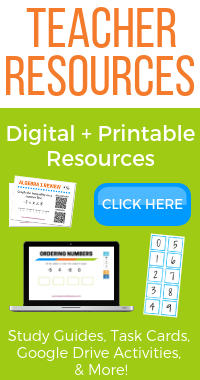 This means that x is also 7.